Are you homeless or facing homelessness in Lambeth? Are you making a homeless application with Lambeth council? When you visited the housing office to make a homeless application, did the housing officer invite you to instead join the “Temp 2 Settled” scheme? We always recommend that people have a buddy when visiting the housing office and with this confusing scheme, it is even more important for people to know their rights and have support through this process. It is also vital that we campaign together for better treatment, real housing help (instead of schemes like this) and for council housing for everyone. What is the “Temp 2 Settled” scheme? Temp 2 Settled is a scheme started in November 2014 by Lambeth Council which is being used to end or prevent a homeless assessment and therefore reduce the number of homeless duties on their records. This is done by offering people a 6 month private sector tenancy when you end your homeless assessment. The sweetener that is offered is that it will improve your chances of council housing by being placed into band B (rather than band C where households with a homeless duty are usually placed). It is mainly aimed at homeless families as they are more likely to be given a homeless duty. The effect of this scheme can be seen by comparing Lambeth’s homeless assessment decisions with that of the similar and neighbouring Southwark council. Before the scheme was introduced in November 2014 both Lambeth and Southwark made about 900-1,000 homeless decisions each year. Since then Southwark’s homeless decisions have soared to over 2,000 a year and Lambeth’s have dropped to almost 750. Hundreds of homeless applications will have been stopped with the use of the “Temp 2 Settled” scheme, or will have been discouraged from ever being started, because homeless families have been promised that they have a better chance of getting council housing by doing this instead of doing a homeless application. Will the Temp 2 Settled scheme help me get council housing quicker? Not for most homeless families. Although it depends on your specific circumstances. If you are not already on the housing waiting list then you will only join the list when you go through the Temp 2 Settled scheme and you will be put in band B. If you are given a private rented sector tenancy outside the borough of Lambeth, as over half are, then you will only stay on Lambeth’s housing waiting list for 2 years (because you are now living in a different London borough so after the 2 years are up you are no longer allowed to remain on Lambeth’s housing register). This means you will have very little chance of getting council housing before being removed from the waiting list. Last year only 2% of 2 bedroom social housing lettings were made to people who had been in Band B for less than 2 years. It was higher at 22% for people waiting for a 3 bedroom home. If you have a homeless duty with the council then you will be housed in temporary housing and will be in Band C on the housing register. As Lambeth council explain in the Temp 2 Settled letter, in band C you may never be able to bid successfully for council housing. However in their Temp 2 Settled letter the council forget to tell you that if you choose the Temp 2 Settled route, and you are new to the waiting list, your chances of successfully bidding for council housing are very little too and you will likely have been forced out of your home borough of Lambeth. The Temp 2 Settled scheme is mainly for homeless families. There are already legal protections for homeless families with a homeless duty for example, families can only be housed in bed and breakfast or other hostel-style accommodation for a maximum of 6 weeks by law. After this, you will likely be found self-contained private sector accommodation. This is likely to be similar to the private accommodation you are offered under the Temp 2 Settled scheme. However we have found over the last year that Lambeth are more likely to house people somewhere in Lambeth through the Temp 2 Settled scheme (42% of placements) than through temporary housing (27% of placements). This seems like the only clear advantage to the Temp 2 Settled scheme but why are Lambeth appearing to keep private tenancies within the borough for the Temp 2 Settled scheme? Why should someone be punished by being moved out of the area for wanting to keep the protection of a homeless duty? It is deeply worrying that Lambeth appear to be reserving in-borough housing for the Temp 2 Settled scheme and are disadvantaging those who take a homeless duty with the council. With the Temp 2 Settled scheme, you are able to view the accommodation before accepting it, so if it is not in Lambeth you could still refuse it and continue your homeless assessment. Why is the Temp 2 Settled scheme bad? It causes unnecessary stress and confusion for homeless families at a time when they are already dealing with enough stress from homelessness. It divides Lambeth’s homeless families between band B and band C on the housing waiting list – this is blatantly unfair to give some homeless families more priority than others when they have the same high level of housing need. Another inequality is that those on the Temp 2 Settled scheme appear to have a higher chance of being housed in Lambeth compared to those who get a homeless duty. This scheme increases housing inequality amongst some of the most vulnerably housed/homeless people. By accepting a place on the scheme you lose your homeless duty with Lambeth Council. This means that when the private tenancy comes to an end Lambeth will have no ongoing duty towards you. You will have to start a new homeless application. You also give up other protections/rights that you have when you make a homeless duty, for example, the ability to review the suitability of the accommodation. Because the scheme is ‘voluntary’ it has no legal protections. If Lambeth had done these private sector offers through the channel they are meant to for homeless people then you would have an automatic homeless duty for the next 2 years and your private tenancy would be for a year minimum. You also would be able to challenge unsuitable offers within 21 days. None of these protections exist under the Temp 2 Settled scheme. As mentioned before, if you are placed outside of Lambeth on the scheme you will be removed from the housing waiting list after 2 years. If you have a homeless duty with the council and are housed outside the borough in temporary housing, Lambeth are legally required to keep you on the waiting list, even if it is low down on it. It helps Lambeth council hide the true number of homeless families in the borough because they are not recorded as statutory homeless duties. The Temp 2 Settle scheme is clearly not in the interests of Lambeth’s homeless families as the many problems with it listed above show. We are campaigning to end the Temp 2 Settle scheme and return to the previous, fairer method where homeless families are provided with temporary accommodation, band B priority on the housing waiting list and can remain in temporary accommodation if they wish until they successfully bid for council housing. This is how Southwark council’s housing allocations policy and housing register works and it is fairly straightforward and easy for homeless families to understand. We should not be forced to give up protections against further homelessness for a slim chance at getting council housing quicker. We shouldn’t be forced to gamble for secure, truly affordable council housing we all need. The lack of council housing should not be used to justify pushing homeless people out of Lambeth and ending all responsibility for them. The council should be building more council homes and should stop destroying and selling off what we already have. Get involved in HASL to help us stop this scheme and help people access the homelessness support they need and deserve. One of our members and her child were made homeless after their private landlord evicted them in order to get new tenants who would pay higher rent. She visited Lambeth council’s housing office to make a homeless application. Instead of a homeless assessment being opened as she had originally requested, The Temp 2 Settled route was offered to her. After a great deal of stress about what she should do, she decided that she wanted to take this route because the incentive of being in band B was important to her. She accepted a 6 month private tenancy in Southwark (and the landlord received a payment from Lambeth council for accepting her as a tenant). However, after 6 months, her landlord contacted her saying that he was going to evict her, because he wanted another payment from the council. She was absolutely distraught at facing homelessness again and after such a short period of time. Fortunately, it seems like an idle threat from the landlord, as he has not yet given her a section 21 (which he needs to do if he does want to evict her). However, if he were to go through with evicting her, she would have to visit Lambeth’s housing office yet again to make a homeless application. Again, she might be offered Temp 2 Settle and the cycle of homelessness would continue. This entry was posted in Advice, Lambeth, Our stories, Uncategorized and tagged council housing, homeless assessment, homelessness, Lambeth Council, social cleansing, Temp 2 Settle on December 17, 2017 by housingactionsl. The Patmos Lodge site as it currently stands. It used to be a care home until the council closed it down. It then became a home for 100 squatters for 2 years until the council had them violently evicted them to make this rubble heap. The site is owned by the council and was a care home that was demolished around 5 years ago (planning decision here) – it’s been a pile of rubble since then. After the council closed the care home, the building was squatted and became the home of 100 people making use of Lambeth’s abandoned property for 2 years before the council violently evicted them. It’s vital to challenge a council that considers a rubble heap preferable to homeless people housing themselves. We know that councils love to do ‘consultations’ with communities and then make up their own results. Let’s send them a strong message that can’t be distorted – this site should be 100% council housing. With 21,000 families on the housing waiting list and a growing housing crisis (and the 1,000 new council homes that Lambeth’s Labour council have promised) the Patmos Rd site should be used for 100% council housing, seeing as it won’t have the cost of buying the land (which accounts for a big proportion of housing costs in London). There’s a ‘drop-in consultation event’ on Thursday 25 May 2-8pm at Myatts Field North Centre, 24 Crawshay Road, Brixton, SW9 6FZ. Let them know Lambeth needs council housing – but we need to do more than just fill out forms and speak to them, we need to organise and take action together so that they can’t ignore our demands. Stay in touch and get involved in HASL! This entry was posted in Lambeth, Uncategorized and tagged consultation, council housing, Lambeth Council, Patmos lodge, Squatting on May 23, 2017 by housingactionsl. HASL has highlighted two serious cases of unlawful gatekeeping by Lambeth council as well as other extremely poor treatment of these two homeless HASL members, but Lambeth council have so far failed to respond to address these issues and our wider concerns. One of the cases of gatekeeping, where a family were turned away from help and returned to their severely overcrowded accommodation, resulted in a woman being physically assaulted by a member of another household in the shared accommodation they were living in. The other case saw the housing officer pretend to open a homeless application for our member, and then a month later, when our member enquired what had happened to the application, it turned out he had been lying and had never started one in the first place. These members have pursued reviews and complaints about their treatment with the council, but Lambeth’s internal processes are still not acknowledging the issues we have faced nor are they resolving them satisfactorily. HASL members and supporters have also collectively shown their concern and support for these HASL members using twitter and visiting the housing office as a group. 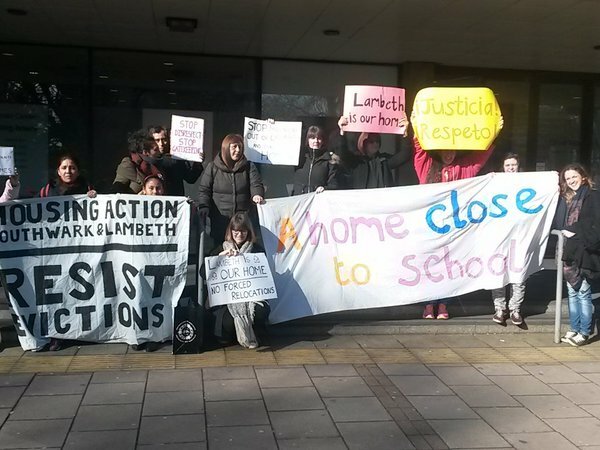 We are calling on Lambeth’s councillor for housing Matthew Bennett and the head of the housing office to meet with us to listen to these issues and finally work to resolve them. He must acknowledge the seriousness of what has happened in these cases. Both members have medical needs that were ‘assessed’ by housing officers with no medical background. Similar to the infamous ATOS medical assessments for disability benefits, these ‘assessments’ were incredibly crude and used an out-dated understanding of vulnerabilities and disabilities. ‘Oh you can do this, can you? You’re fine and don’t require any assistance’ is essentially the conclusions drawn from these poorly conducted assessments. These inadequate assessments have serious consequences for our members who were left without suitable housing. When allocating temporary accommodation to one of our members, a proper suitability assessment, which took into account her children’s needs and well-being, was not conducted. Current homelessness law does not do enough to protect and support homeless people, but Lambeth council can’t even manage to follow the basic law that exists – from our experience they have regularly failed to meet their legal obligations, causing us significant harm and distress. We know we are not the only Lambeth residents facing these problems at the housing office. We have spoken to others at the housing office who have spoken about gatekeeping and we have witnessed people in the housing office being unlawfully turned away without help. As well as dealing with these two cases, Lambeth council must change the practices in the housing office so that people are treated with respect and given the help they need. At every single step of the homelessness process I have been denied help by Lambeth council. It has been such an impossible struggle to get even the most basic help that I’m legally entitled to. As well as dealing with homelessness, my medical needs, and trying to get on with my life, I have had to spend huge amounts of energy and time dealing with Lambeth council’s homelessness service. What should be a really simple procedure, where they can support homeless residents, has lasted many months and caused me significant distress and anxiety and further worsened my medical needs. The disrespect and poor treatment I have faced has felt so hurtful and demoralising. If I am struggling to get through the homelessness process, and I’ve had incredible support from HASL, then what chance do others doing this alone have? Lambeth must address the issues we have raised. This entry was posted in Our stories, Uncategorized and tagged disrespect, gatekeeping, homeless assessments, homelessness, Lambeth Council on September 27, 2016 by housingactionsl. HASL have uncovered – and are challenging – yet more gatekeeping of homeless people by Lambeth housing office. We have blogged about our member Mary Luz who was denied housing help last May and forced to return to severely overcrowded housing. We knew from conversations with people at the housing office and from our visits there that this was not the only instance of gatekeeping at Lambeth housing office. It is very common for single homeless people to face gatekeeping at housing offices, as often they may not meet the automatic priority need test (for example, if you have children, you are automatically in priority need). In this case, we have found Lambeth housing office have a built-in policy to gatekeep single homeless people. 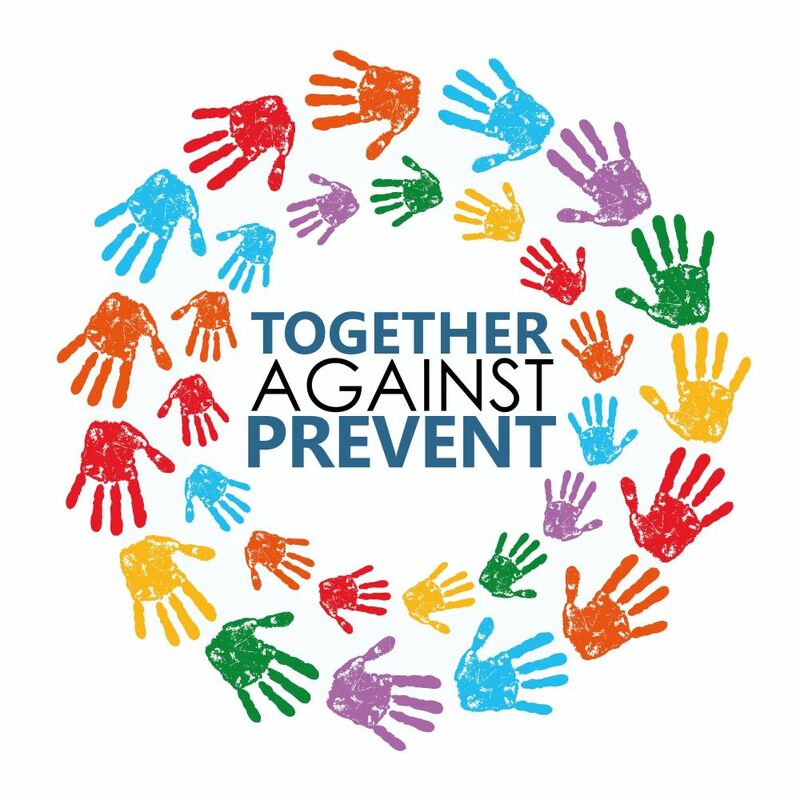 Homelessness is rising, and youth homelessness in particular – a group that is likely to be significantly affected by Lambeth’s unlawful policy. Our long time HASL member, we’ll call her Liz to protect her privacy, has recently faced gatekeeping by Lambeth council which has resulted in her being kept homeless for two extra months, and facing anxiety, stress and demoralisation that comes with being treated so poorly and denied basic rights. Liz requested a homelessness assessment at Lambeth housing office back in March 2016. She stressed the important mantra that she was homeless and in priority need – which means that the local authority is legally obliged to conduct inquiries into the person’s situation. She was booked what she was told was a homelessness assessment for the following week. Attending the homelessness assessment with a buddy, the housing officer attempted a number of gatekeeping tricks, but Liz and her buddy thought they had navigated these successfully ending the meeting with the officer informing her that he would open a homeless assessment. He handed her numerous forms to fill out which again seemed to suggest the opening of a homeless assessment. Again during this meeting, Liz stressed she was homeless and in priority need at which the legal obligation to conduct inquiries kicks in. After not hearing anything for almost two months, Liz contacted him to find out what had happened to her application. He didn’t respond, so with the help of HASL she wrote a letter to Lambeth council last week threatening legal action. This finally prompted Lambeth into action and revealed their gatekeeping tactics and lies that they had subjected Liz (and numerous other single homeless people) to. She was informed that she had not in fact had a homeless assessment but a ‘housing assessment for a single person’. So she would now be booked in for an actual homeless assessment this week – having to go through another stressful interview/meeting talking about her homelessness and vulnerabilities, as well as this assessment now being delayed by two months. It turns out that Liz was lied to about being booked a homeless assessment, lied to during the meeting where she was told an application would be opened, and lied to by the housing officer that she was not eligible to join the housing register. Importantly, the ‘housing assessment for a single person’ meeting, suggests that it is Lambeth’s policy to gatekeep single homeless people with this meeting. “I feel extremely demoralised by this experience. Dealing with homelessness and the homelessness application process is difficult enough – finding out that you believed you went through this process already, but actually you hadn’t because they purposefully had decided not to meet their legal obligations is even more difficult. They have made me endure homelessness for an unnecessary extra two months. Liz has made a formal complaint about the situation and HASL will be planning further actions to challenge gatekeeping and mistreatment. She should not be made to endure the homeless process again because of Lambeth’s failures to do this the first time and should be placed in band B where there is criteria for homeless people working with the council to deal with homelessness. Of course, twitter is a helpful place to make public complaints to @lambeth_council @cllr_peck and @cllrmattbennet about issues in their housing office. HASL have also drawn up a pledge against gatekeeping that we will be approaching Lambeth council with. This entry was posted in Lambeth, Our stories, Uncategorized and tagged gatekeeping, homelessness, Lambeth Council on June 8, 2016 by housingactionsl.